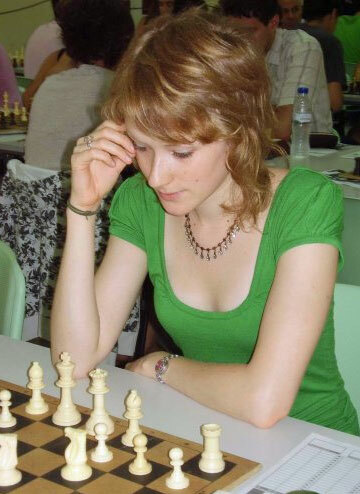 Here is a recent game(TWIC 945) featuring Rudolf,Anna(HUN) from the Women’s Bundesliga. White has strong pressure in a RRB-RRB ending. What is the best way to continue? Here is a recent win over a tough opponent in the ladies Bundesliga. Black has a compromised pawn structure on the queenside while white’s structure remains clean. What should black’s plan be? How do you play? Deep into the endgame black has an extra pawn. White however is resisting and has a passed c-pawn and a supported Nd6 deep in black’s territory. Converting the extra is not so straightforward. How should black play?